Roll Saga Baseball is a fantasy and strategic tabletop baseball game in which one or two players assume the roles of owners and managers of professional baseball teams. Play and manage your games using deep levels of baseball strategy on a precisely scaled replica field that's 27 x 27 inches. Every ballpark quickly converts to any stadium - complete with accurate design and dimensions. With each ballpark comes its signature scoreboard that's not just for show - you can use it to keep score during game play and it sits right behind your outfield. You'll be playing and managing your games using modern players and teams. Each player is represented by his own standee that sits on the field where you position him. Every standee is complete with all of the abilities, traits, vices, and skill-sets in plain view so you don't have to look up charts or find cards. With Roll Saga, you decide the level and depth of play to use. You can play a game in about thirty minutes or you can go the long stretch and play out each and every play - which makes the game last as long as the average 9-inning baseball game. Or you could mix it up by playing out some plays and simulating others. Roll Saga is made using high-quality parts and pieces and it's fully customizable: Not only will you trade, sign, draft, call-up, and send-down your players, but you'll also have the option of creating players, teams, leagues, and ballparks. Keep your eyes on the field - not on charts. Each player's abilities, skill-sets, traits, and vices are printed on his standee. 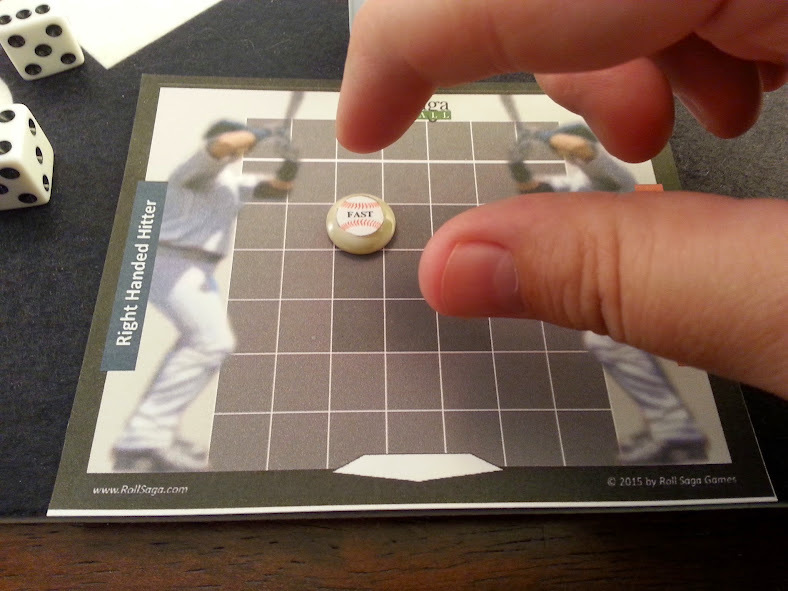 Play your games on any ballpark by easily converting your field in just two easy steps. 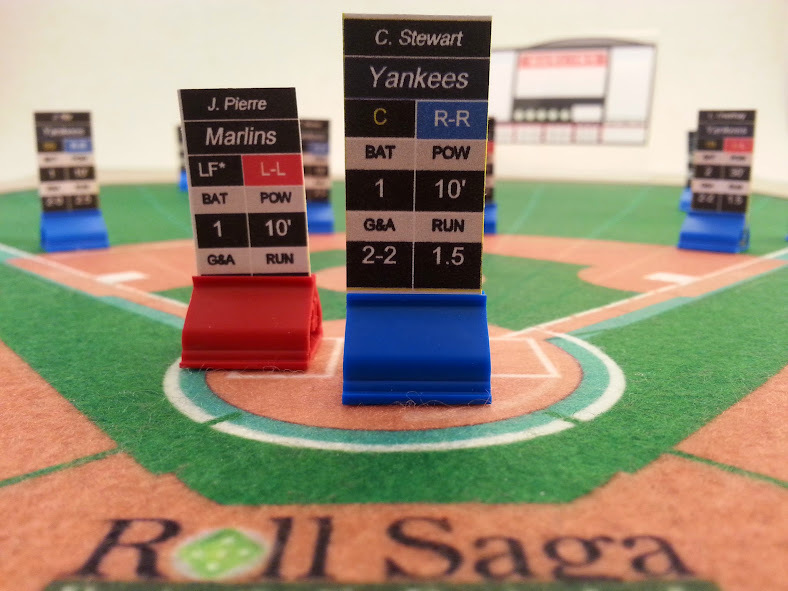 Whether your game is in Atlanta, Chicago, or any other city, the Roll Saga field changes into that park's dimensions quickly. Every single action or event can be and will be carried out. If you've seen it, heard it, or read about it, you can make it happen in Roll Saga using our advanced game system. Did you know that while we have a lot of content here on our blog for you to see, you can get a real good look at Roll Saga Baseball on our official website at RollSaga.com.